A lot of startups end up failing because of a lack of execution knowledge. The 9 out of 10 startups end up failing is an oft-quoted statistic, with the main reason being down to their strategy. Between scaling and commercialisation, even the best of ideas could end up failing if a startup founder goes about it the wrong way. This is when business know-how comes in, with an experienced businessman’s opinion coming into high value for a startup. 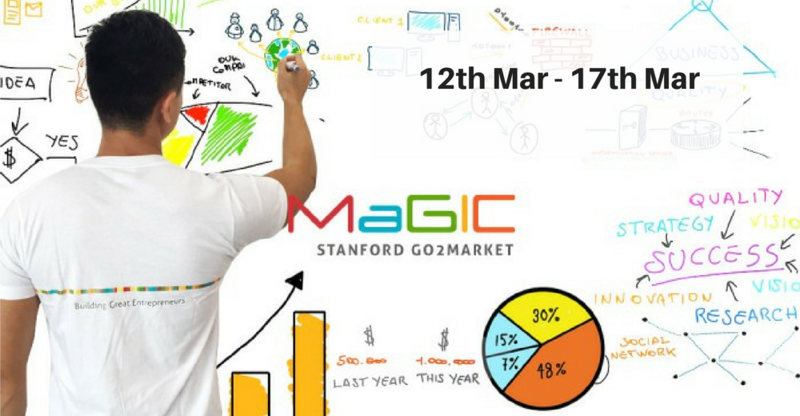 So if you have a good idea that you want to pitch to the public right, Stanford Graduate School of Business is coming to Malaysian Global Innovation & Creativity Centre (MaGIC) for the Go2Market program. It’s a one-week program specifically designed and catered for single individuals to attend, perfect for people with good ideas and in need for some entrepreneurial help. As it says in the name, the program is a crash course on how to bring a good idea to market. 50 of the best ideas will be chosen to participate in the class. The program is open to anyone with a good product idea from researchers without business experience, to even startups that have been ongoing for a while that needs more traction. 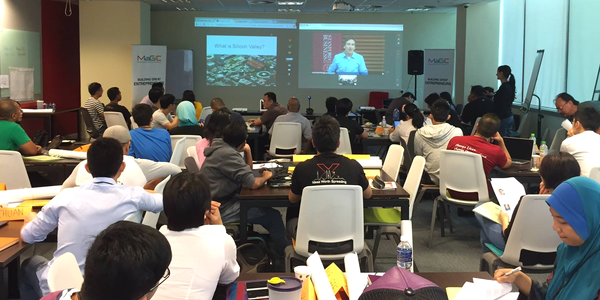 Stanford Go2Market 2017 is a 1 week go-to-market program by Stanford Graduate School of Business that is going to be run at MaGIC Cyberjaya. Better yet, registration is absolutely free and if you get chosen, you will get fully sponsored access to the program, with accommodation provided during that one week. If you’re interested in applying, do note that this program takes actual commitment. Make sure that you are free throughout the week for the classes because it needs to cover a lot within that one week, and you’re required to attend all of them, if selected. But even though they require some commitment from you, the program is also ready to give a lot. He goes on to talk about other factors that the program will cover, including how to decide on you strategic partner, customer segments, who to partner with to help you scale, and revenue model. On top of these courses, MaGIC will also offer access to Design Thinking online course, that is to be completed before the 1-week program commences. At the end of the course, startups will be given the opportunity to pitch to seasoned entrepreneurs and investors, which opens up your business idea to both media attention, and potential investment. Applications are open now, from the 12th of December to the 21st of January (extended from a 12th January deadline). Once applications are sent, MaGIC’s representatives will send over any approval notifications from 21st January to 1st of February. From here, selected participants have until early march to complete the required design course as the Go2Market will run from the 12th of March to the 17th of March. The class will be taught by same faculty who teach in Stanford MBA program, which opens up your own innovative idea to the expert minds from the exalted Silicon Valley. Perhaps the name Stanford itself does not need further introduction, and the MBA program was ranked 2nd in United States for the Best Business Schools, and was first in 2015. Baba Shiv teaches Marketing in Stanford, and is also an expert in the area of neuroeconomics. He is involved in the study and practice of innovation and entrepreneurial leadership, from Fortune 500 companies to the more humble startups. He conducts his research in many countries, including Malaysia, and has an understanding of the market here. Another professor with Stanford’s Marketing, Harikesh Nair finds his niche in marketing analytics. His usual field of research “brings together applied economic theory and econometric tools with Marketing data to better understand consumer behaviour and to improve the strategic marketing decisions of firms”. An affiliated faculty member from the Graduate School of Business, Ron is the The Paul L. and Phyllis Wattis Professor of Management, his particular field of research is focused on examining the strategic use of accounting and financial information, particularly by firm managers. JD Schramm has over 20 years of professional training and development experience under his belt for Management Communication, and his courses in Stanford MBA offers a high variety of interactivity. He is also a seasoned communicator and experienced entrepreneur, who blends the theories with the practical in effective communication. So if you’re inclined to join, you can find out more information here.